Have a question for Capitol Square Hotel? "Capitol theater was just next door, we managed to catch up with Mamamia Musical." "the location was excellent and beds were comfortable." 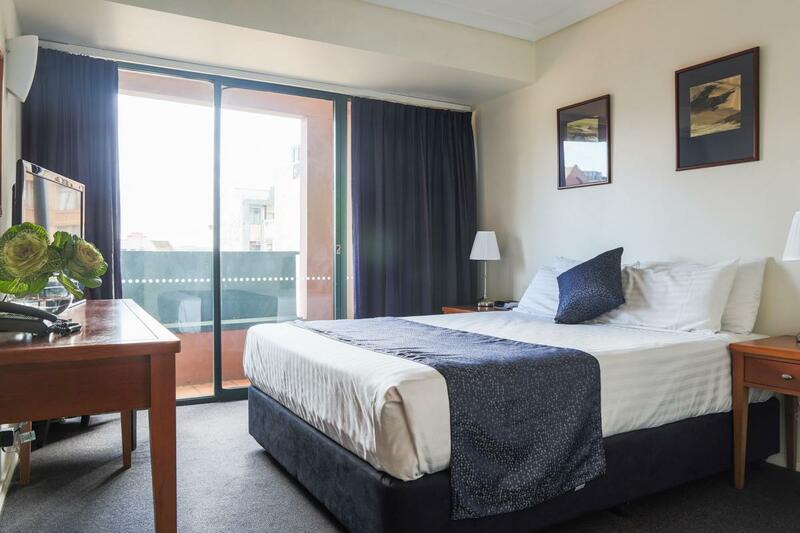 Popular for being Sydney's best value hotel, Capitol Square Hotel is located in close proximity to Sydney's attractive places and provides easy access to entertainment and cultural sites. Boasting 94 beautifully designed rooms, they offer a splendid set of modern amenities. 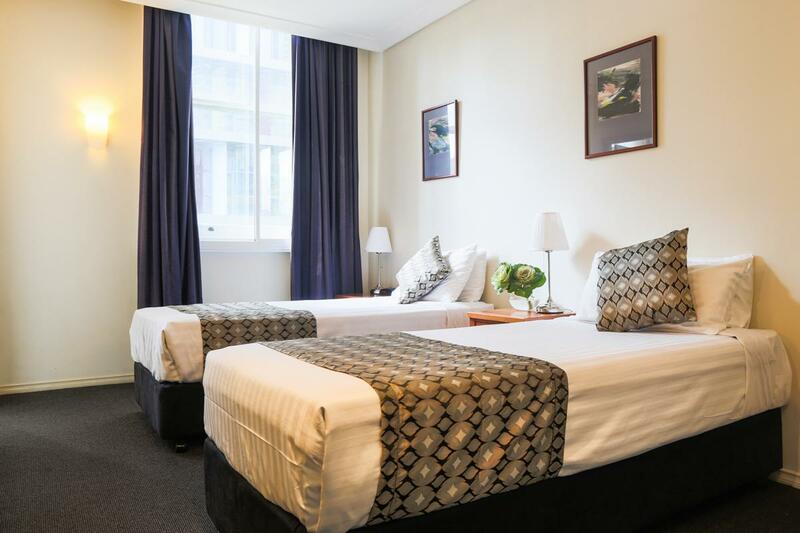 Due to its centralized location, Capitol Square Hotel is only five minutes from the Central Railway Station, allowing easy access to all of Sydney's most celebrated places including Star City Casino's Lyric Theater and Fish Markets. Just a stroll from the hotel, you can find major shopping malls, Darling Harbour and Cockle Bay, China Town, and much more. 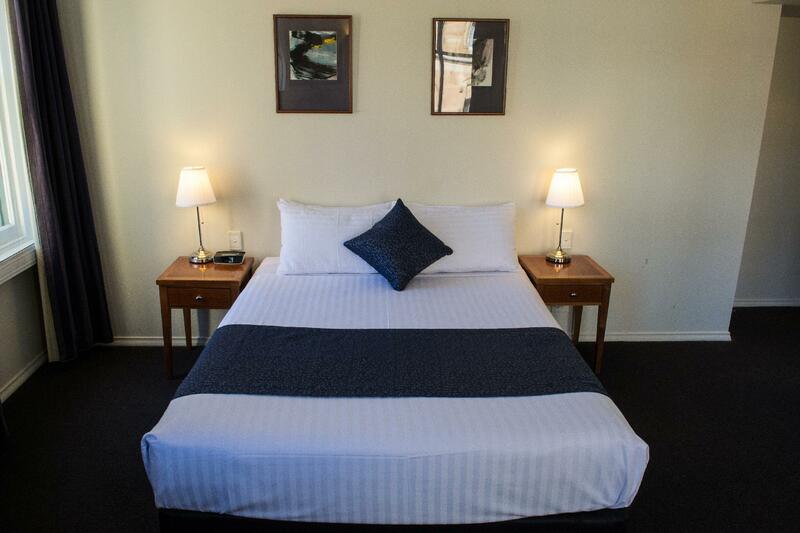 Offering excellent accommodation, room ranges from Standard Double to Bed & Breakfast. 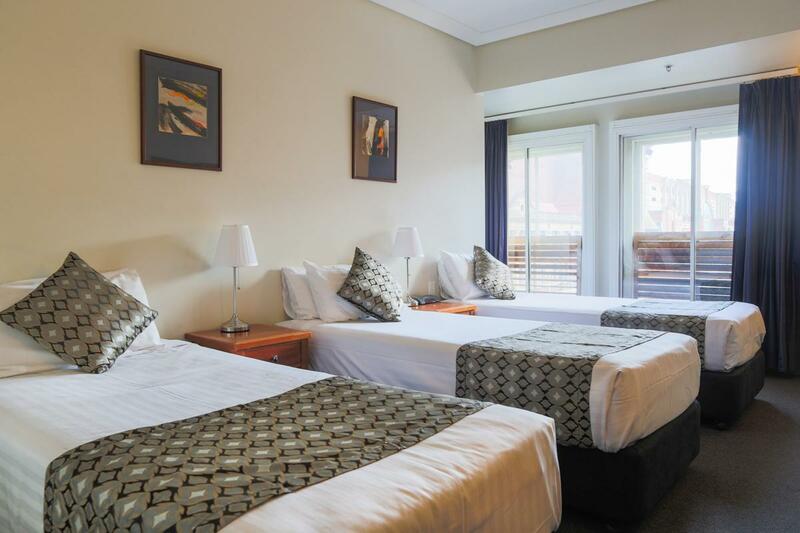 All in all, a good location and fantastic value for money makes Capitol Square Hotel a splendid choice. this hotel location is perfect to all interest place, transport to others like Fish Market... just take the tram will reach, fast and easy. Thank you, Mr Chan for your review. Enjoyed my stay here for 2 nights. Room just basic, but very clean and tidy. Reception check-in and out was easy with friendly, helpful Staff. Check-out at 1100 was convenient. Close to Central Station, Light Rail and nearby to Capital Theatre for shows. I do recommend this hotel for the budget-minded traveler. We had offered a taxi by "Ken", night staff, when we asked for airpot shutter bus for 5 of us with 6 bags on Monday 3rd Dec 18 and re-confirmed him on Tuesday 4th .But the driver who come ask for more money .Claim for the reason of number of person and bags which we had told Ken .This is unacceptable. The one star we give is for day staff that help us to go to airport finally. Our stayed were always comfortable, the location’s great and very convinient area, mall, grocery, coffee shops, resto and train station. The staff were nice. This is pur second stayed in this hotel. Will definitely stayed again. Rooms are terrible. Not worth the money at all. Smells terrible. We couldn't sleep properly. Can hear music overnight. Convenient location. Restaurants under the hotel. Thank you, for the feedback, Wing. Pros 1. Good location 2. Rooms is refreshed every morning. 3. Clean hotel Cons 1. Shower head is not evenly sprayed/flowed. 2. Some room have big/round column inside (just beside tv/table). Do avoid. 3. No free WIFI in room. Need to purchase. 3. Airport transfer (airbus) provided by hotel service do not have aircon. Driver drives very fast/recklessly across the street. Thank you, for the review. This hotel hosts nothing more than a glorified hostel. Yes they do have a breakfast buffet but it comes with a price. I had minimal interaction the staff but let me tell you, with that minimal interaction it was simply the worst. I saw the night shift receptionist shout to a Chinese national who was having a hard time understanding what he was saying. I felt bad for the girl because all she wanted was to compare prices between a taxi and a hired car to the airport. This staff was saying that he has been working with the hotel for past 18 years and no amount of review will ever get him fired. I just hope the management will re-train this person. While I checked in , it was double bed with single bed opposite to the Resturant , which was not the queen bed room I booked, after liaised to the duty manager I got my queen bee room back. Just feel the hotel is dishonest. Thank you, Stephen, for taking the time to review us. Amidst the bustling city, we can still find a decent place to relax and rest... We're too lucky that a female front desk staff allow us to check in very early because we just landed there from a long haul flight overseas! Excellent location at very reasonable price! I stayed at the Capitol for a night to catch the last day of Lion King showing in Capitol theater next door. Despite arriving earlier that the usual check in time, the staff allowed me to check in quickly. the room is big and good enough for 2 travelers. The bathroom is also big and comes with a tub. Wifi was available and cable TV channels was sufficient. Breakfast was a good spread at the 2nd floor overlooking the mall. The hotel is right in the center and is walking distance to major attractions such as Chinatown, the Market, Hyde Park, Westfields etc. It was a great stay and suited my need perfectly. Good location and cosy room, value for money. We stayed for two nights in the hotel. It is close to China town where all the good restaurants are just minutes away. The room itself is of decent size and clean. It is not noisy at all during the night. The hotel can arrange airport shuttle bus. The hotel is located in Sydney city center. It's just five minutes by walk to Chinatown and ten minutes by walk to main shopping centres like Queen Victoria Building, The Strand and Myers. The staff were generally nice and helpful. The room was clean but there wasn't a good view from the window. Noise and dust made by construction site nearby was the only problem. 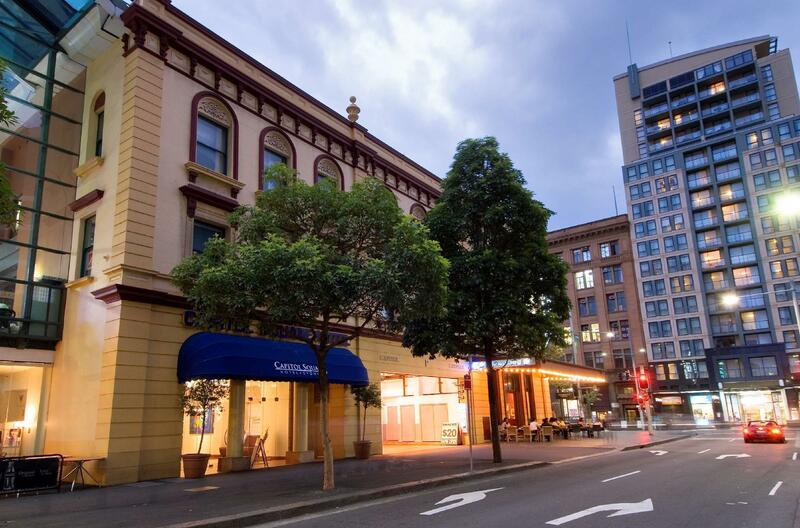 Overall, it's a valuable choice in Sydney CBD. Helpful and very pleasant lady receptionist. Thank you, Elizabeth, for a great review. We are happy to read that your stay was pleasant with us, and the lady receptionist is very happy to hear about your review. Quiet, clean accommodation with good bed. Lifts are fast. After hours Harry's Cafe de Wheels is nearby for one of the best pies you will eat (I did - two)! Light rail is nearby so not a lot of walking to do to get anywhere, and runs past Central Station (rail). Late at night there was a kind of pub/club thing to walk past, but while some patrons were out on the footpath, I felt safe walking alone there (I am male, 68 yrs old). Thank you. Ivan, great to hear about your stay with us. The room was dirty..especially the bathroom. It was dusty with some broken parts(guess the hotel was old). The room was also dusty seems uncleaned before we did check-in. We found one oil clotted paper on the floor (which was not ours) lying on the floor until the last day of our stay!! (the cleaner did not take that away and we dont know why!??) the glass that was used also was left there til the lat day of our stay. the great thing is superb location. Thank you for taking the time to review us. We have taken your review seriously and relevant department notified. Its in the middle of the action, good restos all around. The building is old though, rooms are old and worn out. Can still improve a lot in terms of cleaning the room and toilet. Very thin walls in between rooms. Thank you, Dennis for the feed back. Thank you, Cindy for the excellent review. We were most impressed with the service, each time we passed Reception there was a smiling face there to assist us in any way. Each day when we returned, our room was spotless, freshly vacuumed & bed made with nice white sheets. Always clean towels & a nice hot shower. Its a budget hotel & of course little things like grubby shower grout but really does that matter when you're on holiday. As long as there's a nice comfortable bed, clean room, clean sheets & hot showers with very polite staff always on hand (we booked in at 11.30 pm & booked out 8 days later at 4am & there was a happy face to see us off!!) what more could one ask?? Its a very central location, my husband has 2 artificial knees but was able to walk to Paddy's Market, Coles Supermarket & the public library right opposite to read the daily paper & plan our day! We will be back for sure.